At HighWire, we know our people are vital to our customers’ success. In this new spotlight blog series with members of our team, we’ll shine a light on the work they do and what makes them tick. Q: What’s your job role and what do you do? 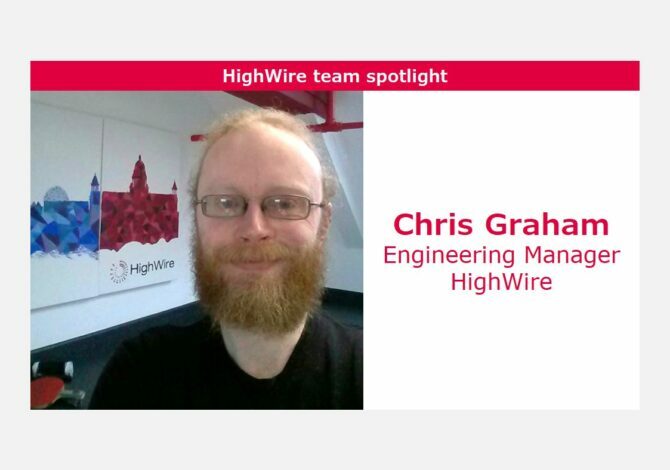 A: I was a Senior Developer when I joined HighWire but recently got promoted to Engineering Manager for the Professional Services team in Belfast. I build out solutions for our customers with our JCore software applications, support my team by mentoring them through complex problems and I am a Scrum Master for one of our Scrum teams. 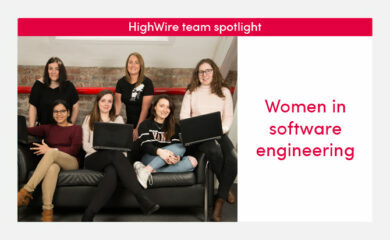 I also work on some of our other platform technologies and provide support and guidance to other teams within HighWire. A: I taught myself PHP when I was 16 and freelanced as a web developer for a year before going on to study Computer Science at Queen’s University Belfast – I’ve been working in web development ever since. I worked for a number of startups with both PHP and Ruby on Rails before moving back to PHP development with Drupal in 2008. I’ve worked in both the public and private sector and the voluntary sector since then, which has given me a lot of different learning experiences with Drupal. Q: What attracted you to HighWire? A: I was encouraged by their knowledge, enthusiasm, passion and commitment. It seemed like an interesting opportunity to utilise my skills with Drupal, and be presented with new challenges and learning experiences, supported by a team of very talented people. A: We work on a lot of projects simultaneously so prioritisation is key. We use Scrum processes that help us prioritise workloads; removing impediments to allow our developers to focus on creating solutions for our customers. 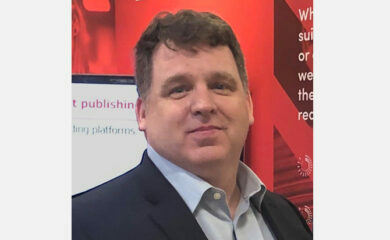 A: Knowing that our products are helping academic, scientific and health professionals around the world access the information they need when they need it and seeing the developers in my team grow in confidence and experience. A: In terms of location, HighWire originated out of Stanford University and our head office is in Los Gatos, California. We have two UK offices in Belfast and Brighton and also have remote workers throughout the US and UK. We offer flexible working arrangements so that we can support employees no matter where they are located, because we want the best people working with us. Along with Drupal development, we do have skilled staff working with other technologies such as Java, Perl, SOLR, Ansible, Jenkins and Selenium to name a few.